Operating in Morzine for over 8 years, Mountain Rehab have a track record of providing fantastic services to guests in the Portes du Soleil region. Specialising in sports massage and physiotherapy services they'll be on hand for our Morzine, Avoriaz and Les Gets guests to offer massages. They offer a friendly but professional service and take great pride in their level of customer care. All the staff are experienced sports physios who have had massage training, this gives them really good hands on skills and with the knowledge of anatomy combines to give a great massage. For full details and prices visit the Mountain Rehab website, give us a call on 0208 875 1957 or email ski@vip-chalets.com. Mountain Rehab offer a range of massage services. Their training and experience means your massage will be tailored to your needs. Helping to ease away aches and pains from previous day’s activities, warming up your muscles in preparation for the day ahead, we can even stretch your muscles while you lie back and relax. This is an ideal time for those wanting to relax and indulge when the chalet is peaceful, giving you time to enjoy a couple of hours of tranquillity after your treatment before the hordes return from the slopes. After a hard day on the mountain a massage can help to reduce stiffness and replenish energy levels, helping you relax and unwind. Before your massage, you can discuss with your therapist which would be the most suitable for you. Choose any time between half an hour to 1 hour with prices starting from €45. Sports Massage – Specific to your sport and targeting those areas of your body which are most in need of attention. Deep, lighter, or a combination, depending on what you have been up to during the day and what your plans are for the following day. Deep Tissue Massage – A really thorough all over massage to work out those more troublesome knots. Relaxing/ Post Exercise Massage – Soothing and gentle for the end of the day or when you just want to have a relaxing hour to yourself. 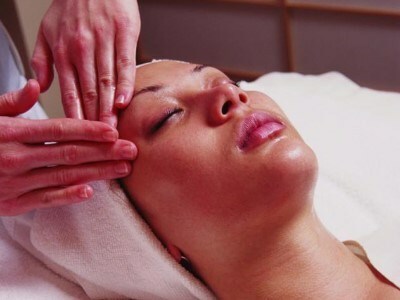 Beauty treatments, hot stone massages and reflexology are available with Carrie from Little Mountain Spa.